Unless you’ve been living under a rock then you know by now that the Pantone 2018 Color of the Year is Ultra Violet! Personally I love the shade, purple is one of my favorite colors, but I know not everyone was thrilled about this year’s choice, but hopefully by the time you finish reading this post your mind will change. Like I mentioned in last week’s color of the year makeup post, ultra violet communicates originality, ingenuity and visionary thinking that points us toward the future. It’s inventive and imaginative and it lights the way to what is yet to come. The color is often associated with mindfulness practices, which offer a higher ground to those seeking refuge from today’s over-stimulated world. The use of purple-toned lighting in meditation spaces and other gathering places energizes the communities that gather there and inspire connection. Pantone often choose’s a color that reflects what the world needs today and after reading this description I couldn’t agree more with this choice! 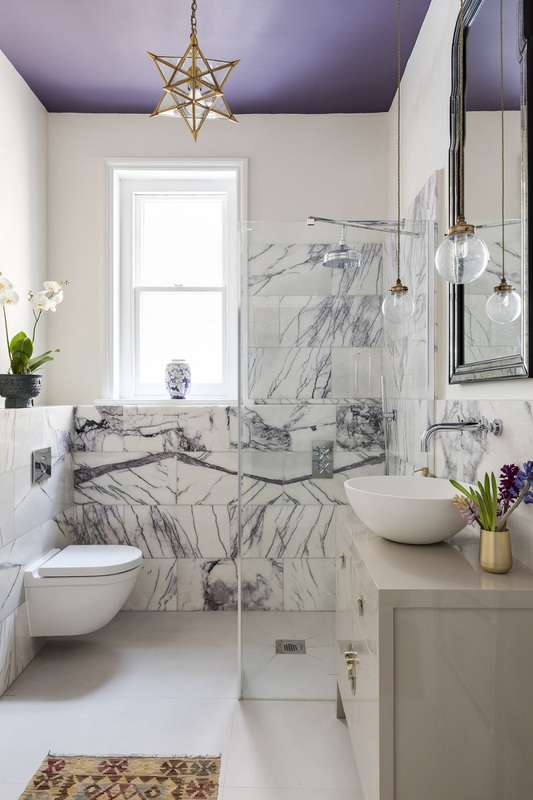 Whether you’re interested in adding a few ultra violet touches to your home or redoing a large area or room I hope this post gives you the inspiration you are looking for! 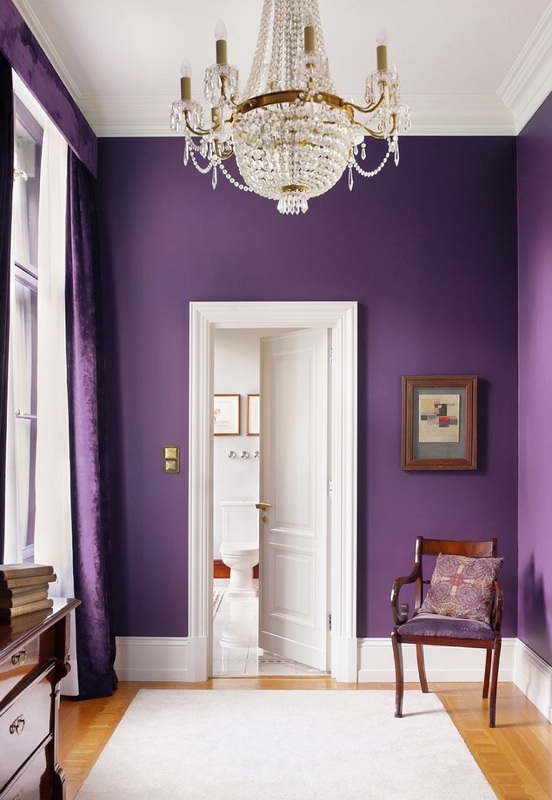 Painting an entire room or space in your home ultra violet is definitely a commitment, but once you find the perfect shade for you I guarantee you won’t regret it! 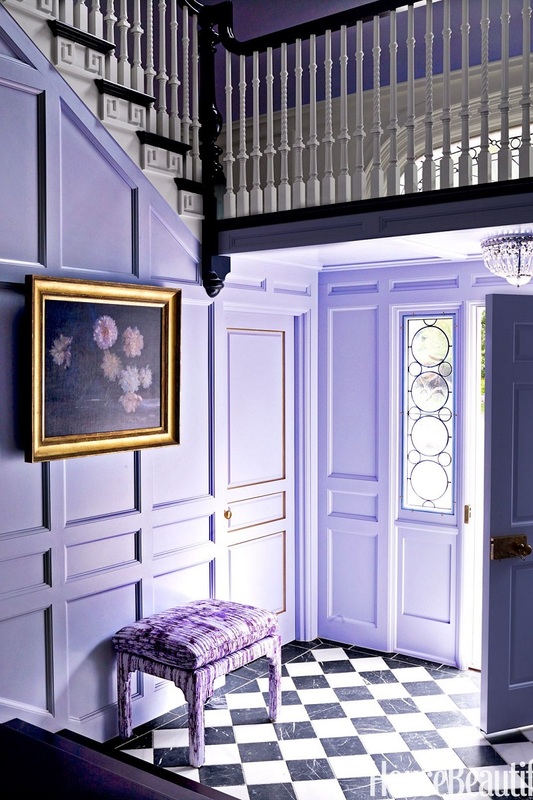 I love the way the designer painted all the molding along with the walls in the photo below and the top photo of this post, but I also love the way the photo above looks with deeper color purple paint with crisp white molding. 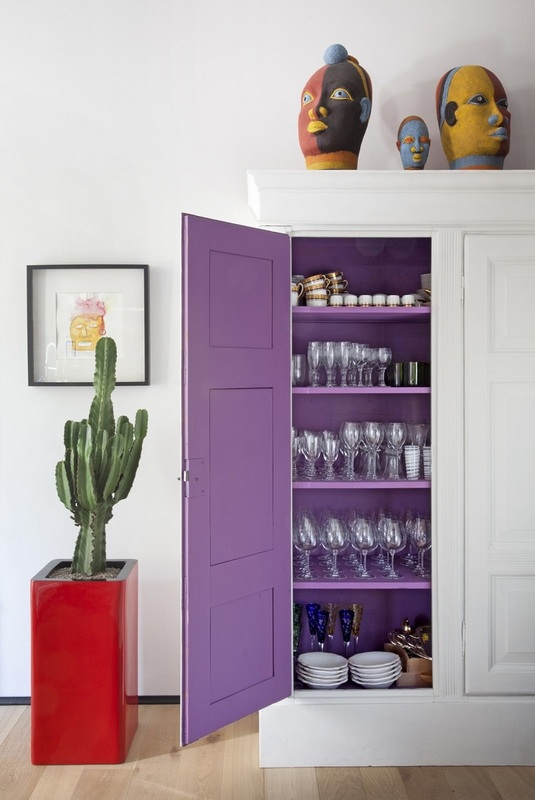 Loving the idea of painting something in your home purple, but not ready to commit to an entire room? Why not paint the inside of a built it or cabinet? Or the ceiling in one of your rooms? Or even your front door! I love all of these design ideas so much I can’t even choose a favorite! 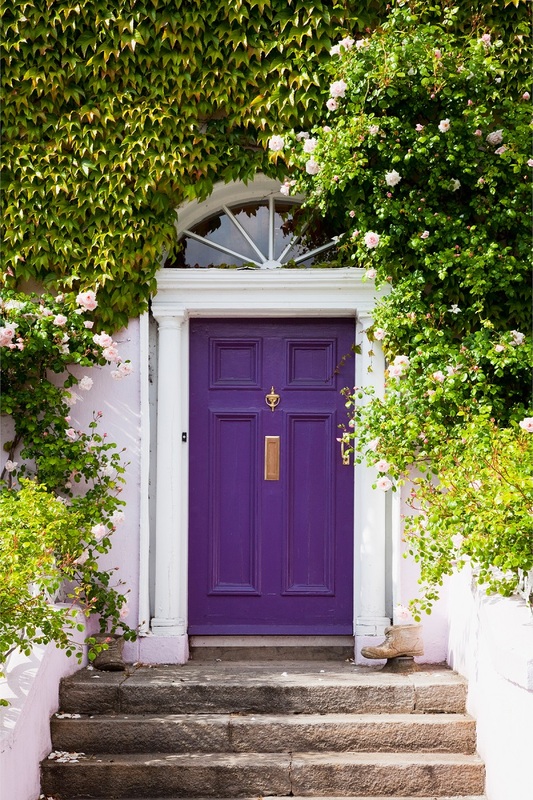 Do you live in a rental that doesn’t allow you to paint or are you looking to redecorate on a smaller scale? 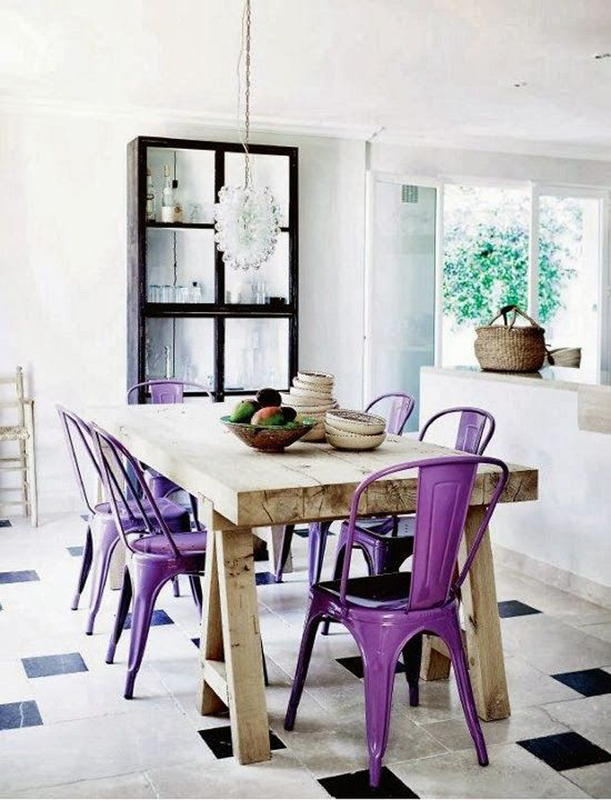 Why not opt for a piece of ultra violet furniture! 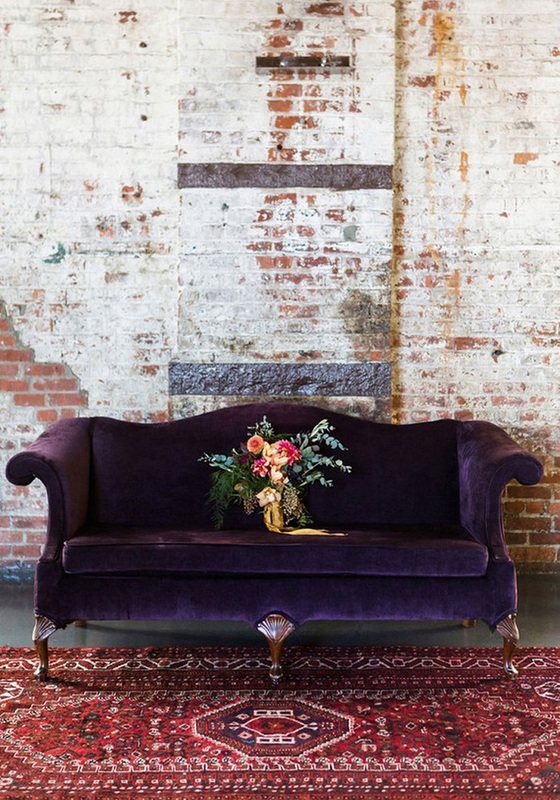 A rich purple velvet choice is definitely my first choice if you’re going for dramatics, but bedding, chairs or even a desk are other great less expensive options! These items can easily be swapped out when you want a different look and can be moved from room to room in your home. Or you can go all out like the living room below! If you’re looking for the ultimate colorful space then I would definitely use this as your inspiration! I love that the navy neutral built-in and gray couch ground the room and all the colorful accessories elevate it. 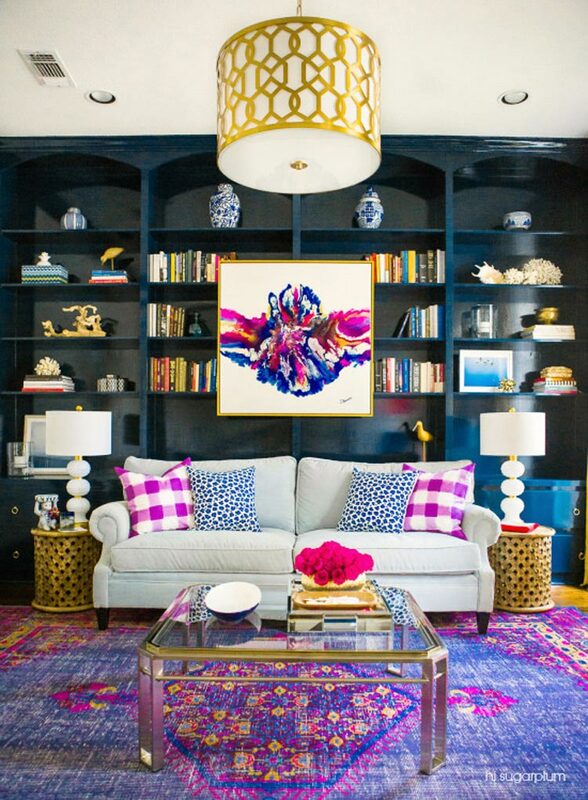 The ultra violet rug is nothing short of amazing and I love that they chose to pull colors from the rug for the pillows and that amazing piece of artwork! 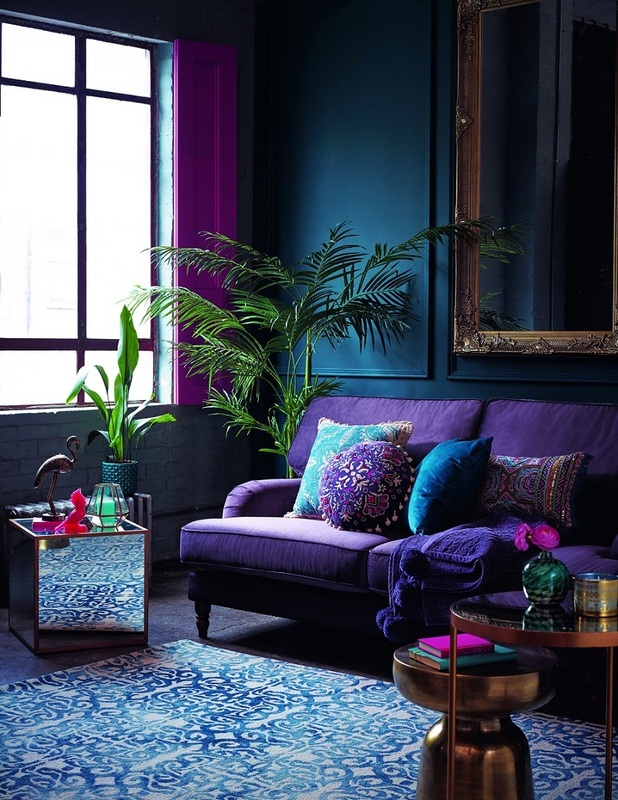 So are you into the ultra violet decor trend or are you passing on this one? If you’re looking for more Color of the Year inspiration check out my post from last year about what 2017 color of the year is right for you! I compare chosen colors of the year from Pantone, Benjamin Moore and Sherwin Williams and help you choose what will work best for you and your style. If you’d like a similar post for this year’s colors leave me a comment and let me know!